This week the seventh graders will embark on the annual trip to Echo Hill on Wednesday and return at 3:45 on Friday. The Echo Hill Outdoor School is located in Kent County, Maryland and offers courses in Survival, Aqualogy, Adventure (low-ropes course) and Bay Studies (in a boat on the Chesapeake) and Scanoeing (swamp canoeing). Students will sleep over in platform tents and take hikes through the wilderness without the use of flashlights! 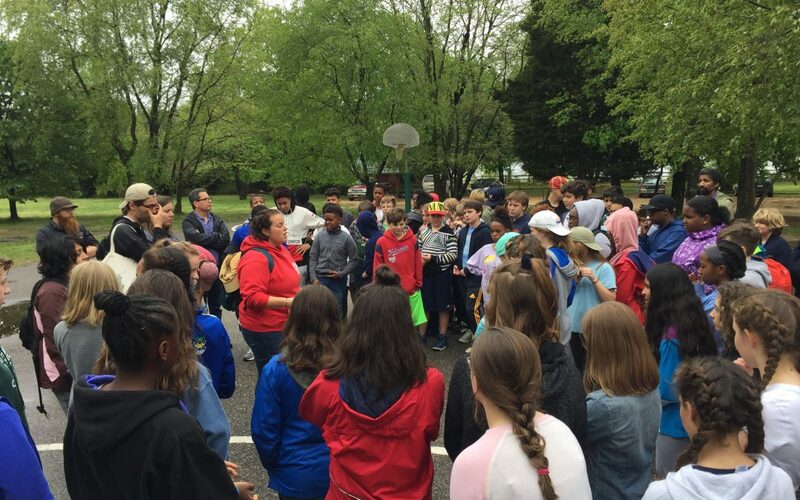 The overnight trips that students take in seventh and eighth grade and in eleventh and twelfth grades allow them to connect with their peers and teachers in a new environment and become more aware of the natural world around them.